Budget for email marketing is on the rise. In fact, email marketing is one the top three investments in B2B marketing, according to the B2B email marketing trends report by CircleResearch. But even with that increased budget, a lot of marketers are leaving conversions on the table. How? By not targeting customers. One size doesn’t fit all and, as we go through this post, you will learn how to treat each customer in a way that elicits love and devotion from them. But to to that, you have to know what they want. And to know what they want, you should know how they behave and what makes them tick. By collecting data on customer behaviors, you can find out what they’re interested in. Then, you can use this data to send highly targeted emails, which could ultimately lead to more sales. We love personalized service. It doesn’t matter what type of business you run, personalization can make a difference. The same applies to email marketing. This report by Experian Marketing Services reveals that including personalized product recommendations into transactional emails can generate a 20% increase in revenues. In Hubspot’s survey, 38% of the survey takers said that they signed up for a company newsletter hoping to receive information that is relevant to them. If you’re worried about data collection for personalization, don’t be. A study by Accenture revealed that almost half of the people surveyed were open to data tracking by trusted brands if it meant they would get a personalized shopping experience. It’s time to get relevant and personal. 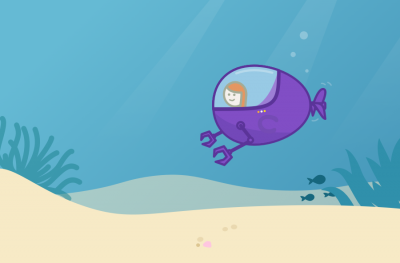 Let’s dive in to see how personalization can get you more email opens and conversions. In particular, we’re going to look at list segmentation, behavioral targeting and triggered emails. 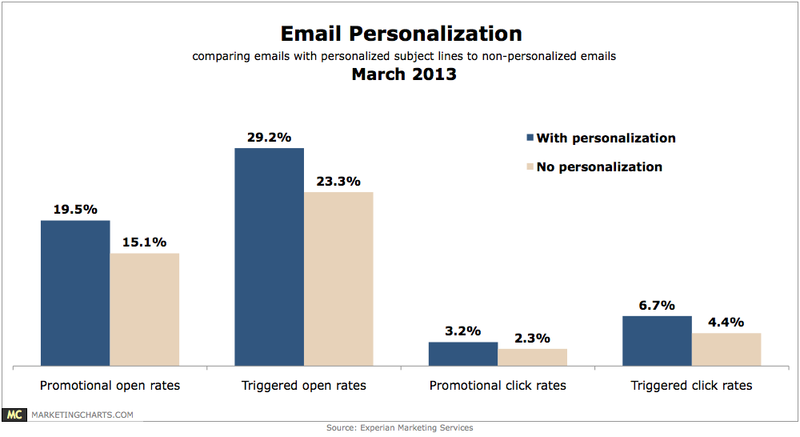 The Experian study revealed that personalized mails had a 29% higher open rate and 41% unique click-through rate. 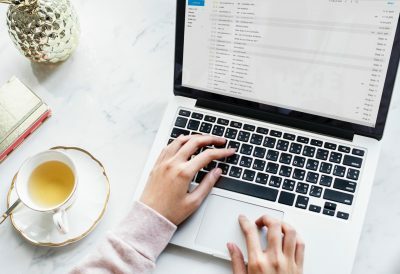 When Feedback loop tested two different subject lines, one with the first name of the customer and a friendly tone and another with a generic one here’s what they found. Mailchimp’s report, based on sending 24 billion emails and studying subject lines with over 20,000 distinct words, reveals some startling findings. To send first-name or last-name personalized emails, you can use merge tags like the ones shown below. But that’s not the only way to personalize emails. If you’re using a CRM system, there could be plenty of data that could be there in the database: the date they signed up, conversion event, the phone number, and more. You could potentially use all that data. Subscribers can see who sent the mail, and that influences them in a huge way. Often, emails have the name of the company as the sender. Including the name of a real person is one way to personalize the email. But an even better way to do that would be to include a personal name along with the company name. 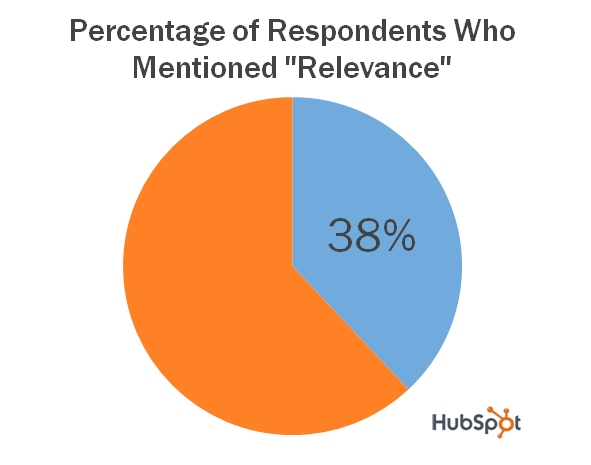 Hubspot carried out a test to see if emails sent by a real person work better. While the control generated a .73% CTR the treatment got a .96% CTR. Now let’s dive into list segmentation. Let’s see one specific example. 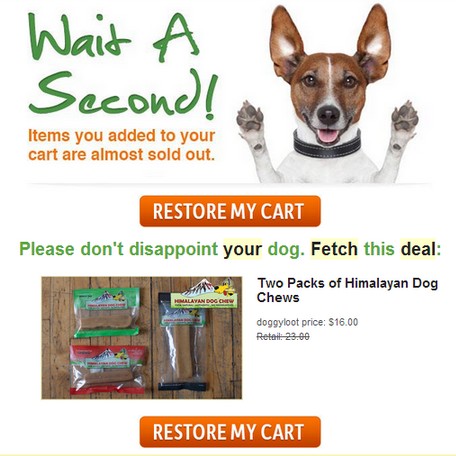 In the case of Doggyloot, email personalization led to a 759% higher CTR. They make use of “dog data” in the CRM system to send personalized emails to dog owners. A new visitor cannot use the site without signing up, and right at that page itself, the list segmentation begins. 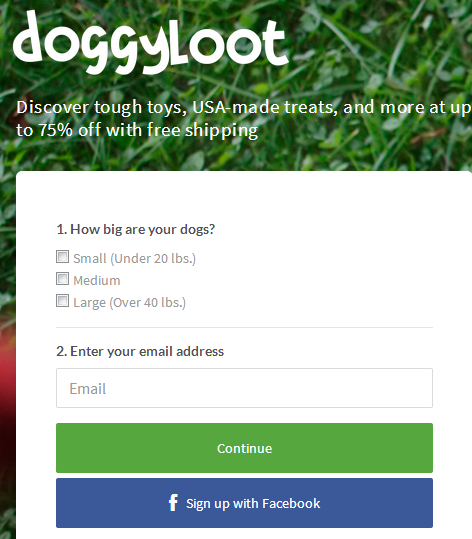 Doggyloot has two fields: one that asks about the size of the dog and the other that asks for the email address. Why is this important? In the case of large dogs like German Shepherds, a 3-foot duck chew mailer would make sense, but it would be insanity sending the same mail to the owner of a Chihuahua. The email targeting done for large dog owners works so well, they get a 410% higher CTR than average. It also accounts for 13% of overall revenue. However, it wasn’t always that way. To get the existing database of users submitting information about their dogs, Doggyloot added a new section to customer accounts called “My Dogs,” which asked for dog name, breed, size, etc. They even offered a $5 credit to get the owners share the birthdays of their favorite pets. Send emails to customers based on their past repurchase times. Does it work? It did for one jewelry-making retailer. 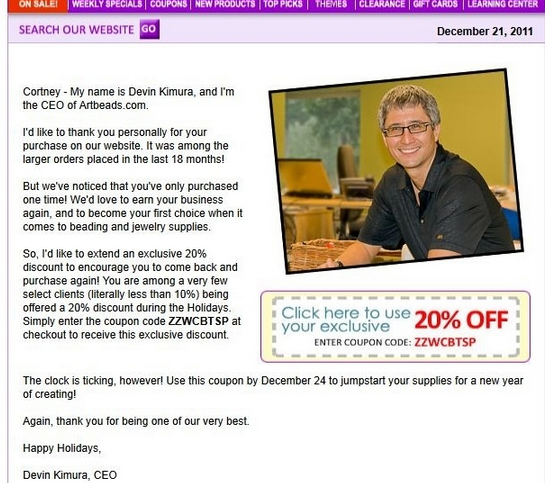 ArtBeads saw a 208% increase in conversion rates for targeted emails. They segmented their lists based on what percent of the customers were the large spenders. Emails were sent to customers who had made at least one big purchase in the last six months. Here’s how they did it. The email was sent by the CEO of the company. That gives the impression that he cares about his customers. It includes a picture of him, reinforcing the one-on-one feeling of this email. It mentions the customer’s purchase history, making it feel like he’s paying attention to them. To make it more appealing, a 20% discount was added. The result? This campaign had a .71% conversion rate compared to the average of .04%. It seems that people hugely appreciate the gesture of a CEO speaking to them on a first-name basis. And it’s a good example of segmenting and targeting based on past purchases. There are two good reasons for targeting customers this way. You can send offers to a section of subscribers who are more interested in that offer. 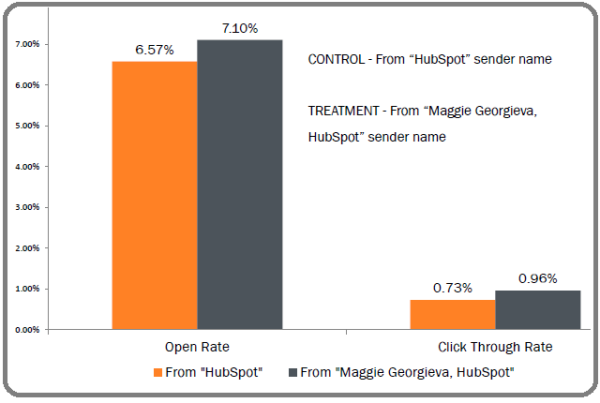 The email disengagement rates, compared to sending batch and blast emails, are lower. Sites like Copyblogger offer eBooks on variety of categories like copywriting, email marketing, marketing, etc. You can always offer different free products to see what makes your customers tick. Some of your readers will be power users who try everything on your site and try all the features of your software. There are others who don’t catch up to the software and tools that easily. Tracking each visitor’s behavior and usage can help you segment them into separate lists. The power users can be sent advanced mailing, while the ones who are struggling can be helped with educational mails. 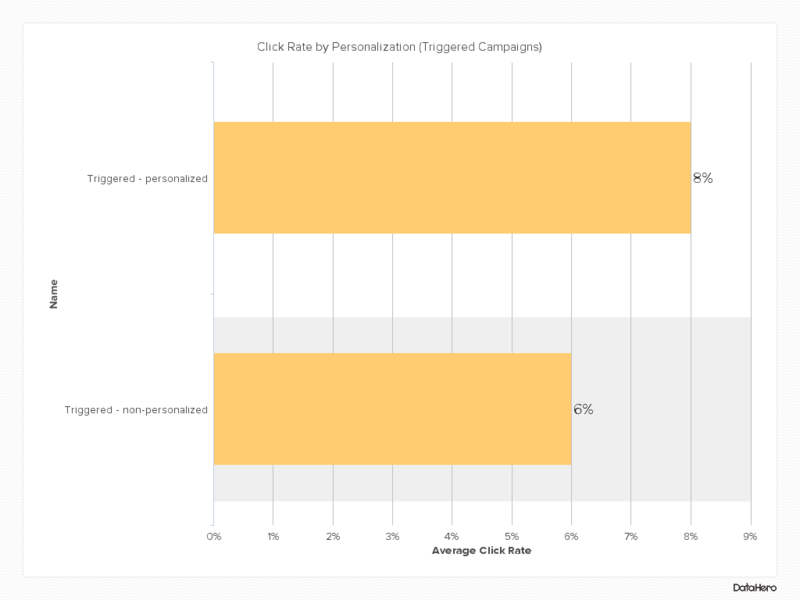 You can further send personalized tracking: which emails were opened by which customers, which ones received higher click through rates, etc. The key is to keep on testing. 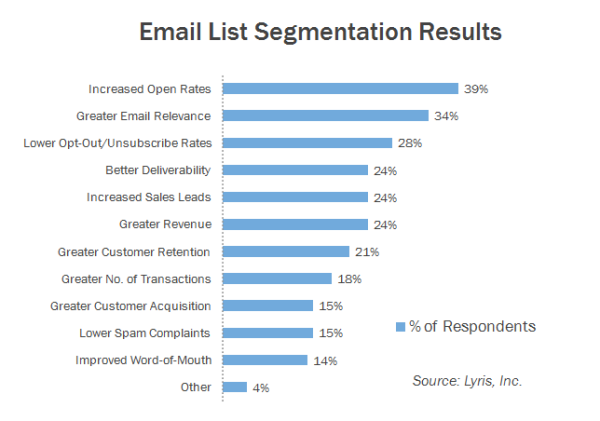 Now, what services can you use to send segmented emails? Vero is an excellent service that can help you send mails based on what your customers do on your site. Mailchimp’s Mandrill is another option. Other, more expensive options include Marketo and Eloqua. Which brings me to my next topic: behavioral targeting. Less than 45% of email marketers are sending emails based on behavioral data, according to Forrester Research. According to Jon Miller of Marketo, “Knowing who your customers are is great, but knowing how they behave is even better.” Let’s look at a few examples. 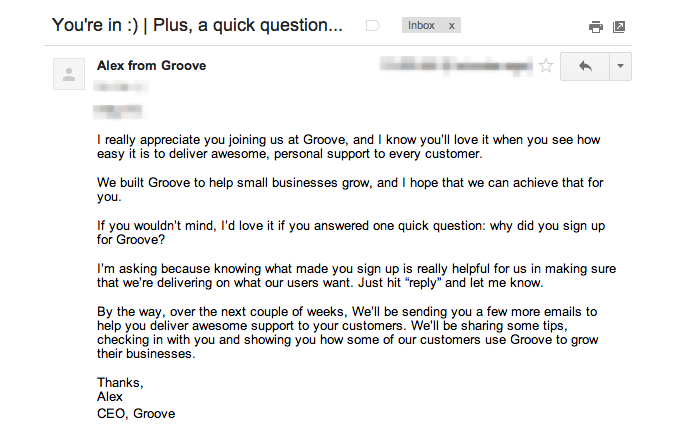 Groovehqfound that some of their customers are highly active, logging in at least three times a day. Others were completely inactive, never logging in. When reviewing their email strategy, they realize it made no sense to send each of these groups the same emails. So they changed their approach, sending different emails based on user behavior. Another example is the behavioral targeting that Amazon executes to perfection. Well, almost to perfection. Chris Schwarz found that casually browsing Amazon for “Point and Shoot” Cameras resulted in a follow-up email campaign from Amazon. The first one didn’t work, so they sent another campaign 24 hours later, this time on DSLR cameras. 4 days later, Chris received an email offering a 50% discount on Canon PowerShot. This continued until, in the 9th email, Amazon called Chris by name to show him some more cameras. The lesson, don’t sell your customers short. If one follow-up email doesn’t get them engaged, keep trying. Just don’t become a stalker in the process. Even Twitter wants to sell. 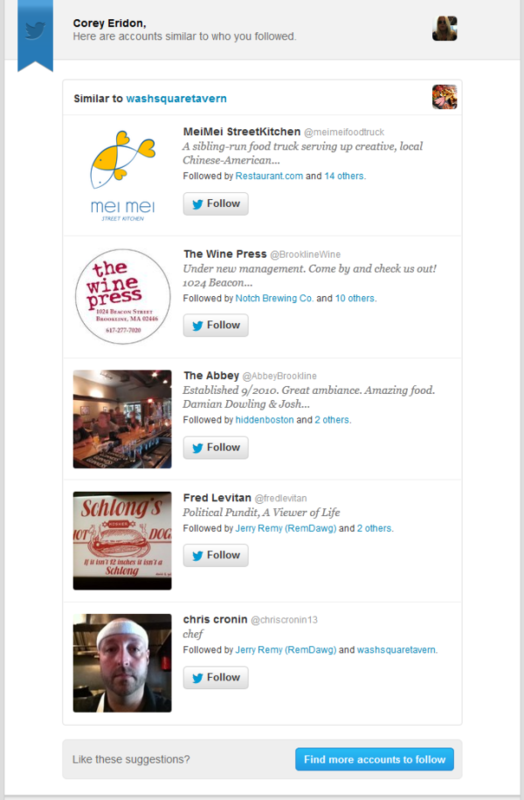 In this example Corey Eridon speaks of Twitter sending him personalized recommendations on restaurants located nearby after he searched for a local brunch’s Twitter profile. Twitter knows that getting people to follow businesses can help those companies see the value of advertising on Twitter. So it goes out of its way to send relevant emails based on user behavior. Smart. Trigged mails are activated based on specific activity (or the lack thereof) by the customer. These emails, because they’re based on real-time data, receive a 33% click through rate, according to Getvero. Cart abandonment emails are one of the most common trigger emails, but there are other events that can also trigger mails. Let’s look at some examples. Take the case of Doggyloot, which we discussed earlier. They went so far as to offer a $5 credit to customers who registered their dogs’ birthdays. With this data, they can send birthday emails to the dog owners—which you can bet helps them stay top of mind with those customers. Emails like this build rapport, largely because there aren’t many companies who do all this. Doggyloot’s cart abandonment mails also include an element of urgency. Check out this email, stating that cart items are almost sold out. Notice also that the CTA was repeated twice in a big orange button. Trigged mails have the power to convert leads to customers, especially if sent within the first few weeks of signing up or during the onboarding process. 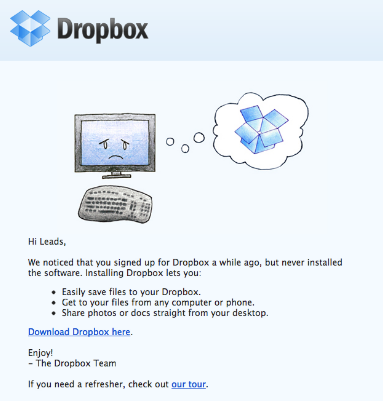 When Dropbox finds that people who have signed up haven’t installed the software yet, they send a visually enhanced graphic mail telling them about it. Becoming a new customer is reason enough to send an email. 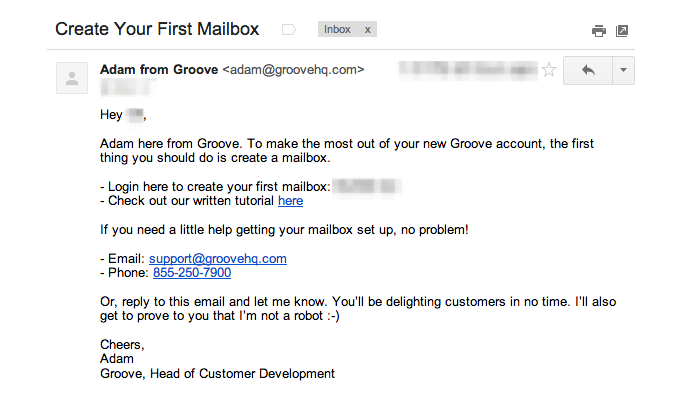 Groovehq’s current onboarding process resulted from a sincere desire to help their customers. By asking users how they can help them achieve their goals, Groovehq streamlined the onboarding process and got better conversions—and got a 41% response rate in the process. What’s more, they learned where new customers were getting hung up. 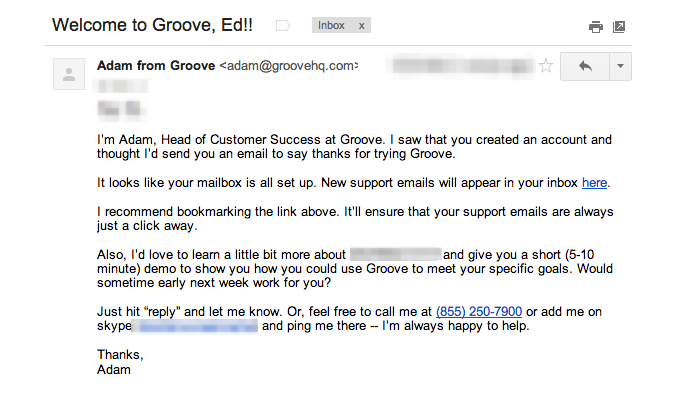 Some customers complained about the complicated steps involved while using Zendesk, so Groovehq sent them baby-step instructions to help them with the process. But there are other ways to engage new customers. This is the first email that I got from Noah Kagan after I signed up. The P.S.—“I read all emails”— was the comment that got a reaction from me. All these examples prove one thing: Your customers are willing to speak up, provided you’re listening. Personalization is the key to improve the bonds between you and the customer. Today, there are a lot of shiny object lying around, and there’s always the risk that a customer will start chasing them if you haven’t created a strong, personal relationship. 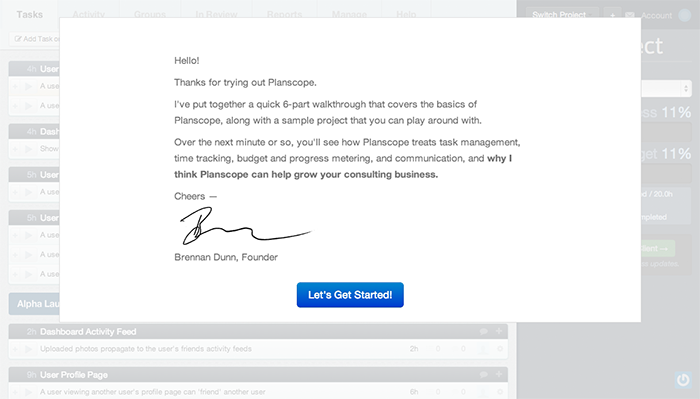 Personalizing emails, especially during the onboarding process, adds warmth to the relationship. That’s something you shouldn’t miss for the world. Whether your business is big or small, you deserve to get more out of each email you send. Come to think of it, your customers should too.